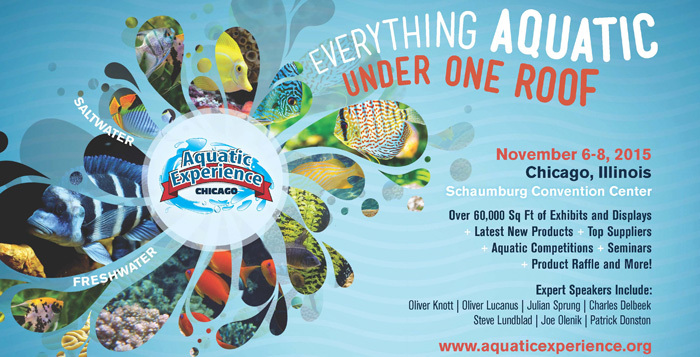 We are happy to announce that we will be hosting our own booth at this year's Aquatic Experience - Chicago event held the first weekend in November, 6-8. The show is the first in industry history to combine everything aquatic under one roof, from saltwater and freshwater to pond and plant. This event is held at the Renaissance Schaumburg Convention Center. Tickets are available to purchase at http://aquaticexperience.org/tickets/. In partnership with the American Cichlid Association, The Angelfish Society is pleased to announce we will be holding an angelfish show within the ACA Convention this July/August. To participate in the convention and/or to enter your own fish, you must register on the ACA Convention 2015 website at http://www.acaconvention2015.com/registration.html. By registering for the show you can also participate in our Angelfish judging. Members of The Angelfish Society can participate at no additional charge. Non-members have the option to become a Full or Business Member or pay a $10 fee at our table during the convention to participate in our angelfish classes. There are a wide number of speakers at this year's convention. It is sure to be a very educational event!! Each sponsor will receive recognition for their sponsorship with their banner displayed on this page as well as given an opportunity to share their business materials on our table during the convention.